What are some places with the most Instagram-able and aesthetically pleasing neon signage? Besides whatever thoughts or feelings you might have, it is a well-known fact that Metro Manila is a treasure trove for some of the most unique spots that have the potential for being the most awesome Instagram post to bring your profile to life. Whether it’s one of the hidden restaurant gems in Quezon City or in one of the most luxurious hotels in Makati, with the little touches of your creative eye, the signs and scenes around you could really capture a certain artful authenticity that will brighten your Instagram follower’s feeds. The secret to a ‘heavily-liked’ Instagram post is to give your followers a good sense of where you are, not just in a time and space, but in a state of being. Let your soul speak through your Instagram voice. Yes, the neon signage that glows “Long Live Bacon” is witty and aesthetically bountiful, but what does it mean to YOU? Who are you amidst the Instagram metropolitan populace? 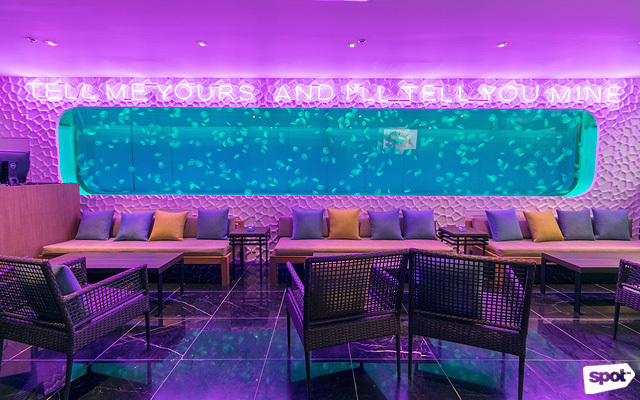 Located on the ground floor of the Promenade Building in San Juan City is a nice restaurant with a bar that is simply just a good place to hang out and have a few drinks with friends. The staff is incredibly friendly, the food and drinks are also very affordable. Depending on the day or the evening, the place can either be tightly packed and full of people or relaxed enough in atmosphere to de-stress and just enjoy the jazz music. Alamat Filipino Pub & Deli is a casual dining spot and bar found directly within the insanely cool streets of the Poblacion District. This place has been one of the participating restaurants in a recent food crawl and is heavily supported by strong social media partners like Let’s Eat Pare and Globe my Business. With a wide selection of delicious craft beers and the option to play a game of beer pong, Alamat Filipino Pub & Deli is one of the most perfect places to spend a Friday night with mugs of great beer. The amazing selection of native delicacies and locally produced craft beer is astoundingly heightened by not just the atmosphere and people, but with the powerfully red and bold sign hanging above the kegs that screams out in stern all-caps “CRAFT BEER FOR ALL THE PEOPLE.” Definitely a favorite on Instagram. Moving on to the legendary Katipunan Avenue, Common Folk is a cumulative pursuit by a group of friends who have an unbridled passion for the love child that is born as the offspring between good coffee and good conversation. The Common Folk team strongly believes in the philosophy that good coffee does not have to be intimidating in its pretentiousness. The menu consists of coffee that is perfectly fit for even the most casual of coffee drinkers. 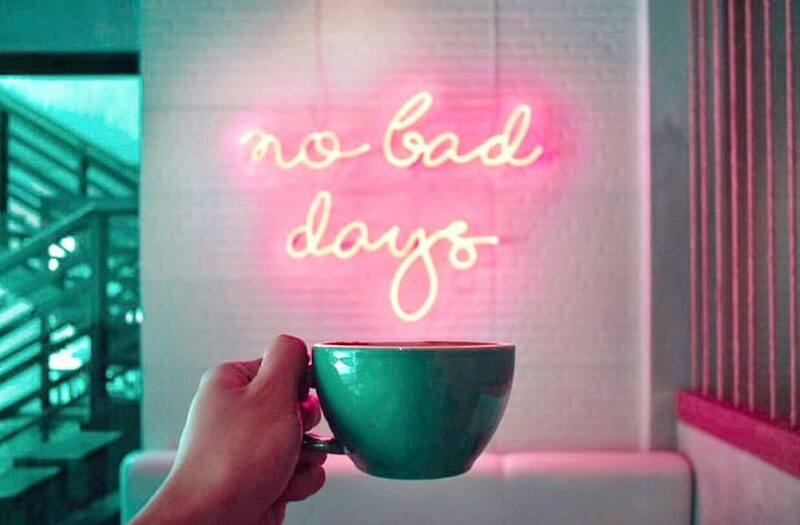 But what truly captures the heartwarming vision of the place is the red scripted neon sign that declares “no bad days” –a great reminder to always take things in life with a light heart and an Americano in your hand. ‘Happy Hour’ is a term that refers to a time frame within the day when drinks are served at lower prices. But the awesome people behind Happy Hour MNL believe that every hour can be happy hour! It even says so on the warm and red glowing sign that hovers over a sleek brick wall. The homey atmosphere and lounge-esque backdrops are such a snug setting to enjoy their brilliant cocktails. 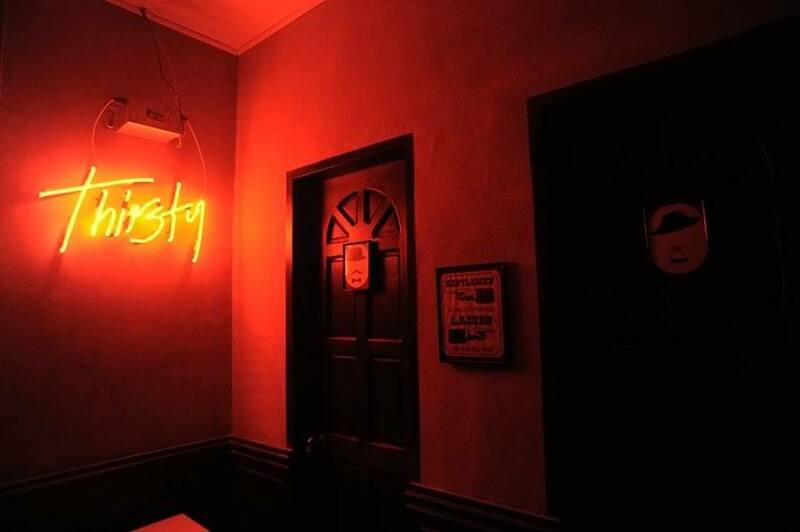 Of all the establishments mentioned on this list, there is definitely nothing quite like the unique and elegant flavors of I’M Hotel’s signature Antidote Bar. The design concept for this place is an enlightened celebration of the deeper juxtapositions between the primal beauty of nature and the modern marvels of human ingenuity. Whether its photos of good times with friends or artful shots of the elegant interiors within the many luxury hotels in Makati, Instagram is a fun platform for which we have the option to share portions of our lives and experiences with our friends and followers. You can check out some of the places mentioned above for some Instagram inspiration and of course not to mention, the decadent vibes along with the food and drink selections that these places have to offer!